At one time, pursuing a doctorate while working full time was practically an impossibility. That’s no longer the case; with the continued progression of technology it becomes easier and more affordable to attain a degree without ever having to step foot in a classroom. According to the latest Bureau of Labor Statistics, investing in a doctorate is financially rewarding, as on average someone with a doctoral degree earns $2,032 more per month than someone with a bachelor’s degree, and $1,136 more than someone with a master’s degree. Statistically, those with doctorates also have the lowest rate of unemployment, 1.6% – compared to the 2.4% of those with master’s degrees and 2.7% of those with bachelor’s degrees. To conduct our search for the 15 Most Affordable Online Doctorate Programs we began with the NCES College Navigator tool, filtering for United States colleges awarding advanced distance learning degrees. To narrow our results further, only regionally accredited schools with at least three online doctorate programs were considered. The schools were then compared based on their average annual full-time credit requirement multiplied by the per credit hour tuition rate. Founded in 1995 by Reverend Dr. Joseph E. Perkins as the Apex School of Religion, and later renamed Apex School of Theology (ASOT), the school is located in Durham, NC. Apex is accredited by the Transnational Association of Christian Colleges and Schools, (TRACS), which is in turn recognized by United States Department of Education (USDE) and the Council for Higher Education Accreditation (CHEA). Apex offers a Doctor of Ministry program with four competency tracks. The three-year course spans 42 credits, and has specific requirements for admittance, such as: Applicants must have completed a Master of Divinity degree with at least a 3.0 GPA, have completed three years in ministry, and currently be involved in a ministry that relates to their desired track. Learn more about the Affordable Online Doctorate Programs at the Apex School of Theology here. Incorporated in 2005, the American College of Education was established with the goal of providing high-quality, affordable and accessible online programs. The American College of Education is accredited by the Higher Learning Commission, and was awarded their 10-year re-accreditation in 2015, ensuring accreditation until 2025. ACE currently offers a Doctorate of Education in Leadership program with nine separate concentrations for students to choose from, including: International Education, Instructional Leadership, Online Education, STEM Leadership, Higher Education, and Early Childhood Education. U.S. News and World Report ranks the American College of Education #149 for Best Online Graduate Education Programs. Learn more about the Affordable Online Doctorate Programs at the American College of Education here. Montana State University was originally founded in 1873 as the Agricultural College of the State of Montana; 144 years later, MSU has a student population of over 15,000 and a student-to-faculty ratio of 19:1. Montana State University currently offers online Doctorate in Nursing Practice programs, specifically a BSN to DNP in Family/Individual, a BSN to DNP in Psych/Mental Health, and a MN to DNP. MSU has been accredited by the Northwest Commission on Colleges and Universities (NWCCU) since 1932, and its nursing programs are accredited by the Commission on Collegiate Nursing Education. U.S. News and World Report ranks Montana State University #210 for Best National Universities. Learn more about the Affordable Online Doctorate Programs at Montana State University here. William Howard Taft University originally began by offering continuing education programs to certified public accountants in 1976. Since then, the school has become a specialized institution of distance education. William Howard Taft University is accredited by the Colorado Commission on Higher Education (CCHE). The university currently offers online programs for a Doctorate of Education, Doctorate of Education in Charter School Administration, Doctorate of Education in Technology and Leadership, and a Doctorate in Business Administration. Unlike many distance learning programs that charge a particular amount per credit hour, William Howard Taft University charges tuition at a rate of $420.00 a month during the term of enrollment. Learn more about the Affordable Online Doctorate Programs at William Howard Taft University here. Valdosta State University originally began as South Georgia State Normal College. The school has come a long way since its opening in 1913, from a college for women – with offerings in a two-year course in teacher preparation – to a flourishing university with over 11,000 students, which is part of the University System of Georgia. Valdosta currently offers three programs at the Doctoral level: A Doctorate of Education in Curriculum & Instruction, a Doctorate of Education in Leadership, and a Doctorate of Public Administration. Valdosta State University is accredited by the Southern Association of Colleges and Schools Commission on Colleges (SACSCOC). Learn more about the Affordable Online Doctorate Programs at Valdosta State university here. The University of West Georgia originally began as an agricultural and mechanical university, established in response to a call for “more realistic educational programs for rural youth.” Today, UWG has a student population of over 12,000 and a student-to-faculty ratio of 20:1. The University of West Georgia offers three online Doctorate of Education programs, with majors in Professional Counseling and Supervision, School Improvement, and Nursing Education. UWG is accredited by the Southern Association of Colleges and Schools (SACSCOC). Its Education programs are also accredited by the Council for Accreditation of Counseling and Related Educational Programs (CACREP). U.S. News and World Report ranks the University of West Georgia #84 for Best Online Graduate Education Programs. Learn more about the Affordable Online Doctorate Programs at the University of West Georgia here. Located in Cleveland, Mississippi, Delta State University was established in 1925. Its staff at the time consisted of a president, business manager, dietitian, and nine teachers, and its first graduating class had only 13 students. Today, DSU has over 3,000 students and a student-to-faculty ratio of 14:1. Delta State University currently offers a Doctor of Nursing Practice program with four program options: RN-DNP, BSN-DNP, Post Master’s (Non-FNP) DNP, Post Master’s (FNP) DNP – which vary in completion time from a year and a half, to four and a half years. DSU is accredited by the Southern Association of Colleges and Schools (SACSCOC), and its Nursing program is also accredited by the Commission on Collegiate Nursing Education. U.S. News and World Report ranks Delta State University #76 for Best Online Graduate Nursing Programs. Learn more about the Affordable Online Doctorate Programs at Delta State University here. Founded in 1970 with the mission of providing opportunities for adults in the workforce to pursue doctoral degrees, Walden University is now a fully accredited university that offers online courses at all degree levels. Walden has 27 online doctoral programs in nine different areas of study: Business Management, Communication and New Media, Criminal Justice and Emergency Management, Education, Information Technology, Nursing, Psychology and Counseling, Public Health and Health Sciences, and Public Policy and Administration. Walden University has been accredited by the Higher Learning Commission (HLC) since 1990, and currently serves over 50,000 students. Learn more about the Affordable Online Doctorate Programs at Walden University here. 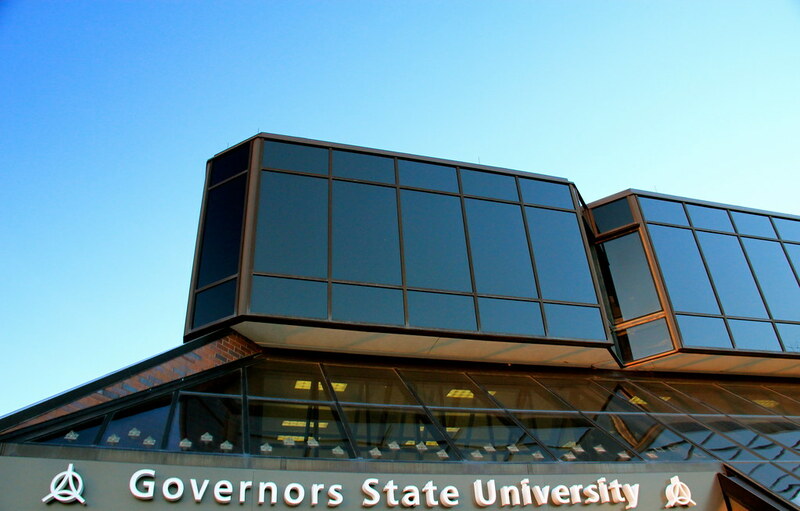 Founded in 1969, Governors State University and its 750-acre campus are located just 30 miles south of Chicago, Illinois. The University currently has a student population of around 6,000 and a student-to-faculty ratio of 12:1. Governor State University offers a 60-hour online Doctorate of Education in Interdisciplinary Leadership program, with 33 of those 60 hours spent in one four unique concentrations: Higher Education Administration, Superintendent (P-12), Not for Profit/ Social Entrepreneurship Leadership, and Public Safety Leadership. Governors State University is accredited by the Higher Learning Commission (HLC) of the North Central Association of Colleges and Schools. Learn more about the Affordable Online Doctorate Programs at Governors State University here. Founded in 1885, Oakland City College didn’t officially open its doors to students until 1891. Since achieving University status in 1995, OCU has grown to have an enrollment of over 1,400 students, while keeping the student-to-faculty at a low ratio of 12:1. Oakland City University’s online Doctor of Education program consists of a minimum of 90 credit hours, and offers three specializations: The Superintendency, Curriculum and Instruction, and Organizational Management. Students in the program participate through Cohort Groups that are established each academic year, and contain no more than 16 students. OCU is accredited by the Higher Learning Commission (HLC) of the North Central Association of Colleges and Schools, and is ranked #33 by U.S. News and World Report for Regional Colleges Midwest. Learn more about the Affordable Online Doctorate Programs at Oakland City University here. Northcentral University was founded in 1996 with the goal of building upon the education foundations pioneered by the world’s brick and mortar universities, while using the internet to offer a new form of quality education. NCU is accredited by the WASC Senior College and University Commission (WSCUC) and has a student population of around 11,000 students. NCU currently offers ten online doctorate programs, including: Doctor of Education, Doctor of Business Administration, and Doctor of Philosophy in Psychology. Northcentral University takes a unique approach to the idea of student-teacher mentors. Students are partnered with one faculty member for each course, creating a class size of one and ensuring that students have a more personalized learning experience. Learn more about the Affordable Online Doctorate Programs at Northcentral University here. Originally established in 1865, the University of Kansas has grown to encompass 13 schools and 27,000 students spread across their five campuses (Lawrence, Kansas City, Overland Park, Wichita, and Salina). KU is accredited by the Higher Learning Commission (HLC) of the North Central Association of Colleges and Schools. The University of Kansas currently offers three online doctoral degree programs: Doctor of Occupational Therapy, Doctor of Nursing Practice, and a PhD in Nursing. Their DNP program has separate curriculums for those who have completed a Bachelor of Science in Nursing degree or a Master of Science in nursing degree. U.S. News and World Report ranks the University of Kansas #19 for Best Online Graduate Nursing Programs, #118 for Best National Universities, and #56 for Best Public Schools. Learnmore about the Affordable Online Doctorate Programs at the University of Kansas here. Washburn University was established in 1865 by members of the Congregational Church their goal being to create an institution to provide education to all people, regardless of race, ethnicity, gender, or income. Accredited by the Higher Learning Commission (HLC) of the North Central Association of Colleges and Schools, WU has a student population of around 6,500 and a student-to-faculty ratio of 13:1. Washburn University has three online Doctor of Nursing Practice programs: BSN to DNP, MSN to DNP, with APRN-NP, and MSN to DNP, without APRN-NP. U.S. News and World Report ranks WU #94 for Regional Universities Midwest, and #24 for Best Public Universities. Learn more about the Affordable Online Doctorate Programs at Washburn University here. Johnson University, founded in 1893 as the School of Evangelists, was originally established under the principle “Open day and night to the poor young man who desires above every other desire, to preach the Gospel of Christ.” Today, Johnson is a private, Christian university with a relatively small student population of only 1,171, and a student-to-faculty ratio of 14:1. The Ph.D. in Leadership Studies program from Johnson University can be completed entirely online, and is offered with four major concentrations: Educational Leadership, Organizational Leadership, Philosophy and Theology of Leadership, and Missional Leadership. Johnson University is accredited by the Southern Association of Colleges and Schools Commission on Colleges (SACSCOC). Learn more about the Affordable Online Doctorate Programs at Johnson University here. Founded in 1930, Old Dominion University was originally established as the College of William and Mary, the second oldest university in the United States (royally founded in 1693). Since earning its independence in 1962, Old Dominion has continued a steady pattern of growth, today it has a student population of 24,672 and a student-to-faculty ratio of 19:1. 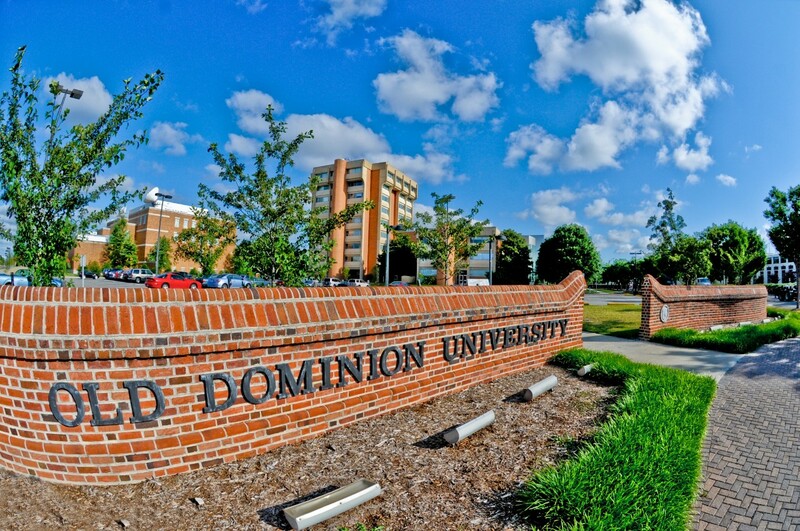 Old Dominion University is accredited by the Southern Association of Colleges and Schools Commission on Colleges (SACSCOC) to award baccalaureate, masters, education specialist, and doctoral degrees. Old Dominion offers eight online doctorate degree programs, including: Doctor of Nursing Practice and Doctor of Philosophy in Education. U.S. News and World Report ranks Old Dominion University #77 for Best Online Graduate Education Programs, #210 for National Universities, and #118 for Top Public Schools. Learn more about the Affordable Online Doctorate Programs at Old Dominion University here.